Stone seats require basic cleaning only and our Polished Granite seats can be placed in full weather exposure without any maintenance needed. Consider also our low cost Sandstone Seats. 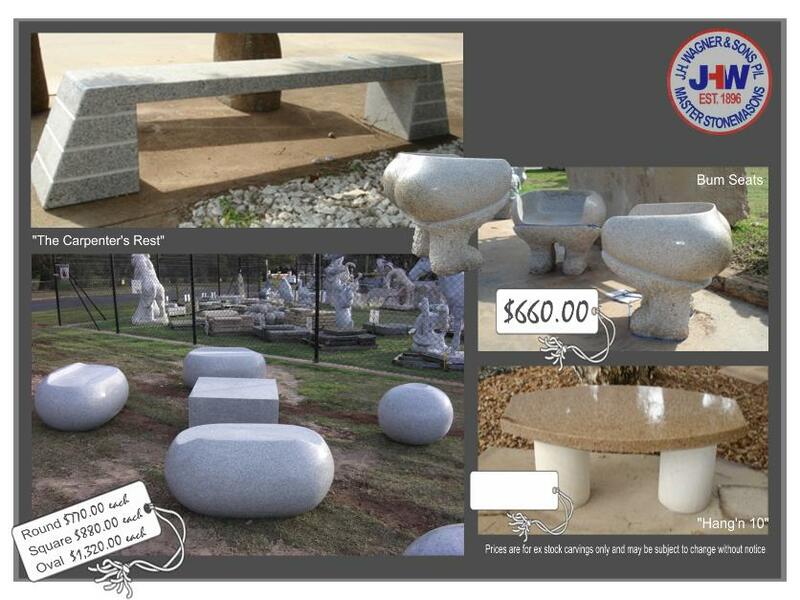 With a Granite Seat, Granite Bench or Granite Chair you can sit back and relax. No worries about treating with oil every year, no worries about brittle plastic and no worries about rotten fabric. "Take a seat with JHW"